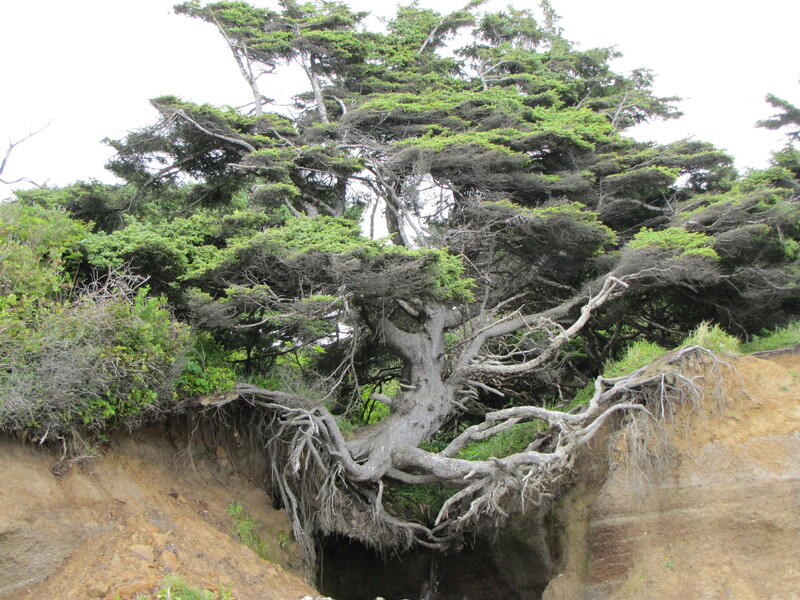 I saw this tree growing at Kalaloch Beach on the Washington coast and could hardly believe it was still upright. 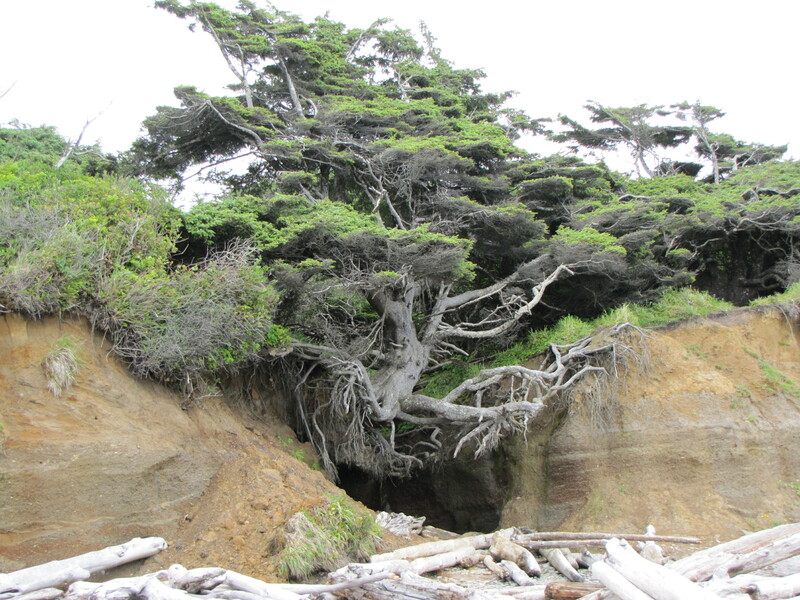 The stream below it, which empties into the Pacific Ocean, has slowly eroded the soil, leaving a large portion of the roots exposed. It seems at any moment it might just topple over, especially with all the heavy rains that hit the area. 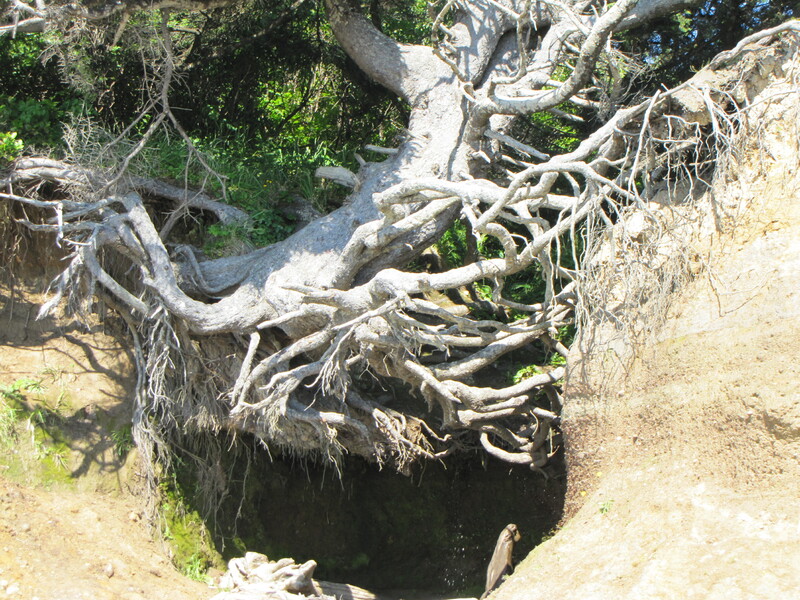 I wonder how far the roots extend into the banks on the side. I didn’t want to stand under this tree! Do you know what kind of tree it is? It is just glorious, so much character…it looks like bonsai. I wish I had it in my garden, I can just imagine clipping away the dead wood with teeny tiny little scissors. Yes, the dead wood has to go! I’m not sure which tree this is, but I’m investigating…. such a beautiful sight and a lovely photo of it! Next Next post: Big Trees!